As nursing students, there are several things you can do even now while in nursing school to help you master the skills needed to succeed at the NCLEX test. Some of these things include developing excellent study habits which mirror your personal learning style, as well as being in tune with the various tips and tricks to answering NCLEX style questions. So the more active of a role you take in your own mastery of the nursing content, the better the outcome will be for you. Visual learners tend to understand best from pictures, metaphors, charts, graphs, videos, and highlighting when they read textbooks. Auditory learners will benefit from listening to live or taped lectures, discussing the content, and explaining the concept to others. Kinesthetic learners do best by studying in groups, touch models, practice procedures, action words, and demonstrations. Many students are combination learners and will do well to vary these different learning techniques to maximize learning. Active learning techniques that require hands-on and self-testing of concepts will benefit all learners and provide deeper learning (examples: creating your own flashcards and testing yourself out loud with various concepts, making concept maps from your memory on various disease processes with symptoms, meds, interventions, potential complications). Remember nursing instructors will be testing you on whether you truly understand the concepts enough to be able to apply them in the right complex patient situations. NCLEX will be testing you on whether you meet the minimum competency for safe entry level nursing practice. When trying to improve your test taking skills, it will be important to identify the various component of a multiple choice question. The âstemâ is the part that asks the question. There will also be the âcaseâ (patient’s situation or scenario), and distractors (choices that are actually wrong or not the best answer) in addition to the correct answer. It is easier to analyze once you have identified the different parts of the question.Â Make sure you read the stem at least twice to truly understand what the question is asking you. In any question, there is usually one key word or phrase in the stem that will bear the most weight. Key words may relate to the client, the actual problem, and to specific aspects of the problem. Once you have identified the key word, it will help you focus on what exactly the question wants you to answer. The same words may appear in the NCLEX question and in the correct answer. It may be the same word or a synonym of the word. This strategy can help you identify correct answer choices. If one answer stands out as different from the other choices, it may be a signal for the correct answer. If two of the answer choices have opposites, like increased heart rate or decreased heart rate, one of the two choices is usually the correct answer. If all answers seem to be correct and applicable, choose the one that includes all the choices in it. In questions asking for a single answer, there may be some choices that are obviously incorrect. Incorrect responses may have the same idea- eliminate choices that have the same concept or idea. Absolute answers are also usually incorrect and include choices containing words such as all, never, and always. Choices that may be unrelated to the question can be eliminated. An example would be if the question asks for nursing interventions and the action in the choice is an evaluation of an intervention. ABC’s (airway, breathing and circulation). Patients with airway problems or interventions to provide airway management are top priority. Maslow’s hierarchy of needs– Physiologic needs (pain, food, sleep) come first before safety and security and psychosocial problems. This is typically used in complex patients with multiple problems. Nursing process– Assessment should always be done before planning anything or instituting interventions. Ask yourself if you would need to collect more assessment data on this patient before jumping into an intervention or calling the doctor. In NCLEX world, you are one nurse with only one patient. All the orders you need are written. The only time the nurse would need to call the doctor is after intervention has failed and there is nothing else the nurse can do. If you call the physician about concerns, never call about something that is expected with the disease process, which is why it is essential for nursing students to know expected signs and symptoms of the disease versus signs and symptoms of potential complications. In your nursing courses, take the time to practice these techniques: looking for keywords, duplicate words, eliminating answers. Always ask your professor for a chance to review your exam and see what you missed. When possible, do a group exam review to hear rationales for the correct and incorrect answers. Purchase a good NCLEX review book and begin working through practice questions on your own well before graduation. This will help improve your test taking skills and confidence, as well as help you do better in your nursing course grades. 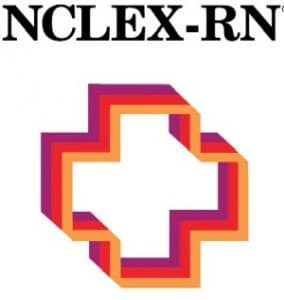 There are also several free and low cost apps for NCLEX review, so you could be reviewing NCLEX style questions while you have down time between classes or waiting at a doctor’s office, etc. With practice and perseverance you can master the NCLEX.